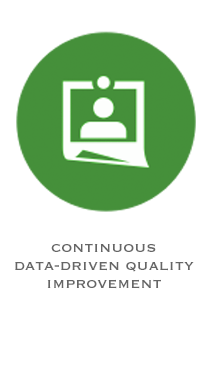 Continuous, data-driven quality improvement reflects the practice’s commitment to quality. It’s about understanding performance at all levels and bringing systems, technology, and people together to make the practice better in many ways. It means empowering every person in the practice to innovate and improve. “Do we use an organized quality improvement/change approach to achieve our vision? This activity is designed to meet the educational needs of practicing health care providers & practice teams needing or desiring to improve their care for patients with hypertension using the methods utilized in the Million Hearts initiative at Dartmouth-Hitchcock Keene. 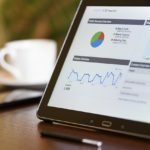 Data driven decision making is changing as a result of the unsustainable cost of health care, lack of access and increasing health care disparities. This course is intended to build an understanding of registries, using data to improve population health, engage patients and deliver person center care while addressing population needs. The course will examine how registries are a collection of patient health information, usually organized around a chronic disease, particular intervention, lifestyle, or condition. Quality improvement examples will be used throughout the units to aid practices in registry use, and preparing for new models of populations management tools. 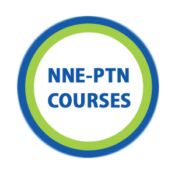 This learning module seeks to address gaps as identified by the TCPi Practice Assessment Tool (PAT) during the PTN baseline assessments, specifically targeting Quality Improvement strategies and Team Engagement as effective drivers of successful change management. Through examination of relevant studies and research-based models, participants will gain an understanding of how to maximize the positive impact of change on their organization and minimize the negative. The learning module will include practical strategies and tools that participants will be able to employ with their practice, as well as identify leader behaviors to model in order to best support team members through the change process. Focus on providing proactive, preventive care to improve the health of your patients. A framework for selecting change “wins” for your practice and all of your stakeholders: your care team, your patients and the practice as a whole. Managing populations helps ensure that patients with specific chronic conditions receive appropriate care. Understand how to quickly measure your current practice, design and implement change processes, and re-assess to see if your strategies were successful.